Glaxo Racism In South Africa? GlaxoSmithKline Plc (GSK) dismissed an executive from its African consumer health-care division for refusing to submit to a performance plan that was initiated a week after he reported alleged racial discrimination to a confidential integrity hotline, company documents obtained by Bloomberg show. The executive, who was fired on Oct. 3, filed a 17-page report on Aug. 28 to the compliance department through a web portal, alleging that Glaxo’s South Africa consumer health-care division, its most profitable unit on the continent, was a “white island” and restricted black staff from being appointed to senior management positions. Only one of the 21 top managers in the unit is black, the executive said in the report. He asked not to be identified because he is seeking to be reinstated. In South Africa, which was white-ruled until 1994, 80 percent of the population is black and the government has enacted laws to encourage the promotion and training of workers from races that were discriminated against during apartheid as well as the sale of stakes in companies to non-white investors. A week after filing the report on Aug. 28, the executive was asked to submit to the three-month so-called Performance Improvement Plan. He refused to sign, arguing that his performance met company standards and the program was designed to force him out of the company, a copy of the plan with his comments shows. That incurred a charge of gross insubordination. In June he was given a review that placed him in the second-highest category of four performance standards. He got an above inflation pay rise and a bonus in March, documents seen by Bloomberg show. The company informed the executive he would be placed on a formal performance plan on Aug. 15, a week before he filed the compliance alert, Glaxo said in a separate e-mail today. “The manager responsible for his dismissal was not made aware of the allegations at any point throughout the performance process,” Glaxo said. The executive denied he was notified of the plan before the Sept. 4 meeting, according to the documents. The performance management program was an effort to “retain him successfully” and not force him out, Jonathan Girling, Vice-President in charge of Africa, said in the documents. The integrity line, known as “Speak Up,” was set up to allow workers to report misconduct, violations of country laws and regulations, according to the Brentford, England-based company’s website. “GSK has procedures to protect and safeguard employees from harassment or reprisal when they report concerns in good faith, are genuine concerns of misconduct, and are not falsely raised,” the company said on the website. The executive received confirmation from Glaxo officials in the U.S. and Dubai that his compliance alert on alleged racial discrimination was being probed, according to copies of e-mails. He was contacted by a Glaxo official five days after his Oct. 3 dismissal, e-mails show. That official told the executive that a lead investigator had been appointed. The employee also declined an invitation to a Sept. 17 meeting, because the documents stated that it would have signified his acceptance of the performance plan. That incurred a second charge of insubordination. An external labor consultant hired by Glaxo found the executive guilty of both charges and recommended his dismissal, a copy of that report shows. While the compliance complaint shows that the South African unit has few black senior managers the company as a whole has a more representative workforce when its other units in the country such as its regional pharmaceutical and consumer divisions, and its African leadership team are considered, according to the compliance report. Under South African law companies are scored according to how well they include blacks in ownership, management, training and other components. The government can penalize companies with low scores. Glaxo is compliant with the so-called black empowerment codes at level six and has a five-year employment equity plan, agreed with South Africa’s Department of Labour, the company said in a response to queries. There are eight levels, with first being the highest and eight the lowest. Glaxo’s business in South Africa is limited to consumer health-care products including Aquafresh and Sensodyne toothpaste and Panadol painkillers. It sells pharmaceuticals exclusively through Johannesburg-based Aspen Pharmacare Holdings Ltd. (APN) The South African consumer health-care division has revenue of about 90 million pounds ($141 million), according to the compliance report filed by the executive. This is the Twelfth in the Persecution Series, after The Persecution of Heretics, The Persecution of Vulnerable Adults, Harassment from the BBC to GMC, Harassment from Rolf Harris to James Coyne to Doctor Who, Persecution: Black Riders in the Shire & Persecution: Rumbles from Mordor, and sixth in the SUI Cide Series SUI Cide in Betsi, SUI Cide Trick or Treat, The SUI Cide Note, SUI Cide or Homicide & SUI Cide in the OK Corral. If a nation of 80 million souls with all kinds of democratic checks and balances in place can lose its moral compass and kill millions of people it finds inconvenient then professional bodies can certainly get involved in acts of thuggery and harassment. The length of a pregnancy ago, BBC’s Panorama and Shelley Jofre were considering exploring some of the murkier aspects of GlaxoSmithKline’s business in China. En route, they got diverted into the conflicts of interest that many UK doctors have owing to their links to companies like GSK. The recent US Sunshine Act that attempts to lay bare the links between companies and doctors has had considerable coverage worldwide. Before that the Grassley hearings that gave rise to the Sunshine Act attracted real interest over the course of two years from 2008. These hearings made Charlie Nemeroff a household name for links to big Pharma and made him the poster boy for conflict of interest. Nothing similar to the Grassley Hearings or Sunshine Act has happened elsewhere. This is not because such conflicts don’t exist outside the United States. In October 2005 the Royal College of Psychiatrists under its then President Mike Shooter convened a meeting in London to look at conflicts of interest, and the College policy in this area. There were clinicians, academics and industry personnel present. The meeting was held in the wake of the scandal which had seen clinical trial data hidden and children exposed to treatments billed by academics in ghostwritten articles as safe and effective. New York State was outraged and successfully sued GSK for fraud over the key study, Study 329. Mike Shooter was outraged and convened the meeting. A number of the shrinks at the meeting were outraged and didn’t shrink quite as much as industry clearly expected or would have liked. In response Padraig White of GlaxoSmithKline made it clear that current British policies about clinical trials and access to the data from trials had been put in place by combination of people with Sir before their names and industry personnel. He also made it clear that there were around twenty-five academic psychiatrists in the UK making $200K per year (£150K) out of their links to industry and that in his opinion none of these would any time soon be in the business of rocking the boat or arguing for any arrangements other than the ones that were in place. The idea there were twenty five academics in the UK in psychiatry alone earning this much money was surprising even for me. Certain names inevitably came to mind among them Dave Nutt and Guy Goodwin. It was always a good bet that The Institute of Psychiatry would have the greatest concentration of high earners. It’s not a crime to make this much money from links to industry. Dave Nutt back then had a reputation for rocking the boat rather than sweeping things under carpets, so unlike Charlie it wasn’t clear that his links would lead to debate being stifled. But even Panorama who have a track record of taking on topics like conflict of interest didn’t warm to picking up the issues back then. It was only later when pursuing the recent story about GSK and China and yet another large fine against GSK that the issue of medical conflict of interests began to come back on their radar. Jofre decided to attend one of the many European meetings where the same few British and other opinion leaders can be seen shuttling between settings that are almost indistinguishable from one country to another saying pretty well the same things regardless of which drug is featured in the frame to the same bored audiences who are primarily there to visit some attractive venue with all costs paid by some company. This led to what perhaps could be called an ambush of Dave Nutt and Guy Goodwin. From what I know of what happened Dave Nutt and Guy Goodwin were not the original targets. To the best of my knowledge Jofre attempted to get a former President of the College, at the same meeting, to comment on the propriety of the kinds of links between academics and industry on display at the meeting but the former President declined to do so – indeed appeared very nervous at the prospects of even contemplating doing so. This rather goes to the heart of things. What’s up when a College President quakes at a prospect like this? On May 1 soon after the Panorama program, the Executive Committee of the Academic Faculty of the College had a Strategy Day. The question of the Panorama program came up as did the, as far as I can see, unrelated fact that a fringe group, the Council for Evidence Based Psychiatry, had questioned whether psychiatric medicines work or not. We – it seems – were against both the critics of antidepressants and those who might be concerned about certain kinds of promotional activities in regard to antidepressants. The group noted their support for Drs Nutt and Goodwin and their interest to combat groups like the Council for Evidence Based Psychiatry. Two months later there was a rather ridiculous article in a new journal, Lancet Psychiatry, with Drs Nutt, Goodwin and yet another ex-President of the College on the authorship line taking issue with arguments being put forward by Peter Goetsche in a forum provided by the Council for Evidence Based Psychiatry. The article was ridiculous in terms of its content but also bad strategically – one of those things you’d have thought the College was better off ignoring. By this time, the College through its Invited Review Panel were heavily involved in the Healy case. They had been asked to come to North Wales by me out of concerns for patient safety but somewhere en route seem to have decided that I was the target. The reviewers infringed pretty well all the basic rules of natural justice. A few months later College documents hint at ever higher levels of engagement within the College and an attempt to extricate the College from a mess they had helped create of which at this point I still had no inkling. The basic point to take from this is that the College, just like the GMC, is through its Invited Review Service open to being used for harassment purposes. The GMC have recognized the risk to them and have instituted a Review of the issue. I have brought the risk to the College to the attention of its current President Simon Wessely. It’s not clear that the coin has dropped yet. The College continues to profess complete confidence in its processes and the personnel implementing those processes. FRCPsych risks becoming an acronym for Fucked by the RCPsych rather than Fellow of. This might be how patients see it anyway. The North Wales stitch up happened before the Panorama program. It didn’t however happen before I and others in North Wales had become part of a team accessing clinical trial data in an entirely new way; the same trial data the denial of access to which had so outraged Mike Shooter – Study 329. But the key thing was that our means of access had not been sanctioned by industry or the Sirs. How does this play with the current President of the College? Here’s where things get tricky. I’ve stayed with Simon and had several pleasant conversations with him but then I’ve shared an open air Jacuzzi at 6 AM in the morning with Dave Nutt in the Caribbean before he tried to get the GMC to harass me. The difficulty for me and anyone else reading this is that the situation calls for judgments to be made under uncertainty. We all fall back on stock heuristics and biases in such situations. Before exploring these heuristics, is the act of exploring them a case of slurring the College in an unwarranted way? The trouble is the fiasco that has been the College Review in North Wales has already badly tainted the College. The longer the College takes to accept, as the GMC have already done, that it could be employed to harass and the longer it takes to put mechanisms in place to avoid doing so in future the greater the taint. While Dave Nutt might in many ways be estimable, and liked by many College grandees, the longer the College denies that, against a background of lack of access to trial data, conflict of interest is corroding any esteem that medical professionals might once have been held in, the greater the taint. 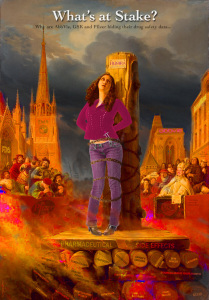 More to the point the more it trumpets the benefits of antidepressants and denies their risks, the tighter the noose of professional suicide fits around the neck of each and every psychiatrist in the UK. In this case there is a potential link between Simon Wessely and Study 329. He is a trustee of Sense about Science, who have put forward a model for access to clinical trial data favored by the Sirs of British academia to which industry – or at least GSK – have already signed up. This is a model in which access to the data will be restricted to people like “us” who agree to abide by the rules we put in place. The rules would essentially mean that anyone looking at 329 would come to the same conclusions about it as GSK did. The model would give the appearances of access to trial data. It would allow some Sirs to come back from their negotiations with Industry clutching a piece of paper declaring “Peace in our Time”. The current Rewrite of Study 329 does not conform to what Sense about Science want. The current Rewrite of Study 329 began several months before the College came to North Wales. The Irish media health care awards is a prestigious event held in Ireland and sponsored by GlaxoSmithKline. While it is important to honor good health care reporting, particularly in the area of mental health, surely it’s ironic that GlaxoSmithKline are sponsoring it? Glaxo have had more bad press than I’ve had hot dinners, and most of it is covered on this blog, (which will be 8 years old in January). A lot of their bad press has occurred because they made, marketed and sold an anti-depressant called Seroxat/Paxil which has damaged, maimed and killed tens of thousands worldwide. I started this blog, partially as a reaction to my own terrible experience of Seroxat (GSK’s anti-depressant which should never have been licensed), but also in part because of the BBC panorama’s excellent reportage of the Seroxat Scandal in 2002. Panorama followed that groundbreaking documentary with no less than three more exposes of GSK and Seroxat (unprecedented for BBC Panorama). They also covered GSK’s dubious ethics surrounding their heart attack inducing Avandia drug, GSK’s tax avoidance, and their corruption of doctors and medical specialists, in later documentaries. If anyone should be sponsoring, and receiving awards for their coverage of health care in the media it should be the BBC panorama team; Shelley Jofre, in particular. Conor Cusack is a great advocate for mental health sufferers in Ireland, and he has been doing great work trying to bring awareness to the plight of depression sufferers for a few years now, and I admire him greatly. Conor recently gave a talk at the Irish media health care awards (sponsored by GSK), and I wonder if Conor was aware that GSK were caught lying about the safety of their anti-depressant Seroxat for children, would he have given the talk? I have a lot of respect for Conor, and I am sure he would not have given this talk if he was informed about GSK’s history of damaging patients, particularly sufferers of mental illness. I have written about Conor’s campaigning in previous posts, and I was particulalry impressed by his views on psychiatry. I am a champion of his views. Therefore, I would like to make it clear that this blog post is not a criticism of Conor. It is a criticism of the drug company GSK, who sponsored Conor’s talk at the media awards. I have great respect and admiration for Conor Cusack, in fact I think we would have a lot in common. I am writing this because I wonder is Conor aware that GSK were fined 3 Billion by the US department of Justice for over a decade of corruption, unethical marketing practices, off-label prescribing, and fraud a few years ago, the full extent of which can be read on the Dept of Justice legal complaint. It makes for shocking and sobering reading. If you’re reading Conor, please read the links I am providing you. Is Conor aware that GSK are currently embroiled in a corruption scandal which spans several countries? Or that GSK are also neck deep in accusations concerning the use of Irish orphans as guinea pigs in care homes in the 60’s and 70’s? There are hundreds of instances of GSK criminality, harm to patients, corruption and fraud, most of them documented on this blog, if you’re reading this Conor, please take a look at the blog archives here and educate yourself about GSK before you attend any more awards sponsored by them. For Seroxat alone, they should have had their pharmaceutical license revoked. They damaged tens of thousands of vulnerable mental health sufferers, many of them children, and many of them now dead because of GSK lies. I wish you well Conor, you are inspiring hope for many. But educate yourself about GSK. 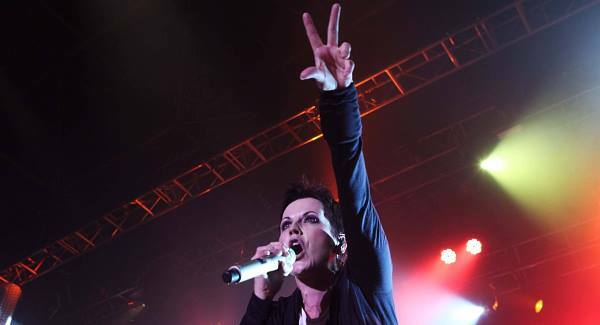 Is Dolores O’ Riordain On Psychiatric Drugs? Irish Rock star Dolores O’Riordan has split from her husband of twenty years, and is currently being treated by a psychiatric doctor and nurse to help her cope with the stress of her marriage breakdown, her mother has revealed. Eileen O’Riordan said her superstar daughter, who was at the centre of an alleged air rage incident this week, was currently in a “very vulnerable” place. “She is going through a marriage separation at the moment. That’s hard for anyone,” Dolores’s mum said in an interview printed in the Limerick Leader this morning. The mother of the ex Cranberries singer said her daughter was “still in Ireland” and was being closely monitored by doctors. Delores married former Duran Duran band tour manager Don Burton in 1994 at Holycross Abbey, Tipperary, before a lavish ceremony at the Aherlow House Hotel. Her mother said Dolores is keeping in close contact via phone calls with her children Taylor (16), Molly (13), and Dakota (9), who are with their father in his native Canada. Dolores, who has sold tens of millions of records with her former band the Cranberries, as well as through her solo work, was arrested by Gardai at Shannon Airport last Monday. The 43-year old was on board an Aer Lingus flight from New York to Shannon in which she allegedly assaulted a female air stewardess by stamping on her foot. During the course of her arrest she allegedly head butted a garda and spat in his face. However, Eileen, from Ballybricken, Co Limerick, has claimed both women are “friends”. Dolores’s mother also described in shocking detail the moment she found her daughter in a cell in Shannon Garda station. “She didn’t know who I was, she was trying to cover herself from me,” Eileen recalled. Reflecting on the alleged air rage incident, Eileen revealed she was “waiting” for her daughter to go into some sort of psychological meltdown. She said Dolores was been “hassled for autographs and pictures” on board the plane and “just lost it”. The diplomat who went on an alleged drink-fuelled rampage during a flight home after the 2004 tsunami has said he was suffering from flashbacks and nightmares after witnessing harrowing scenes. Yesterday Col Peter Roberts, MBE, 51, the defence attache to Thailand, said seeing hundreds of bodies and dealing with grieving relatives was the most difficult time of his life and changed him for ever. Almost two months after the tragedy, Roberts is alleged to have gone on a drinking binge and abused passengers and crew on a flight from Abu Dhabi to London, Isleworth Crown Court was told. He is said to have launched into a foul-mouthed rant against the king and religion of Thailand and threatened to kill anybody who tried to restrain him. Roberts, who denies drunkenness on an aircraft, claims his behaviour was not as a result of drinking wine, whisky and port on the plane but because of taking the anti-depressant Seroxat and the stress over the tsunami. What anti-depressant was this young man prescribed, what dose and for how long was he on the drugs? Was he monitored for anti-depressant side effects such as suicidal thoughts, personality changes etc? and why no mention of the dangers of mixing anti-depressant’s with alcohol? “The court heard that since January 2013, Mr Bray regularly attended the health centre in Trinity for mental health problems and had been prescribed an anti-depressant. A Trinity postgraduate student found collapsed in a corridor and then moved by a security guard, thinking he was drunk, had taken cyanide, an inquest heard. Ashley Bray (23), a biochemistry postgrad from Surrey, England, and living at East Wall Road in Dublin 3, died on October 26th last year having been found unresponsive in the Trinity Biomedical Sciences Institute (TBSI) on Pearse Street, Dublin 2. Dublin Coroner’s Court heard that Mr Bray, a second year student researching the prevention of tooth decay, was drinking with colleagues in Dublin city centre before his death. He was in “good form” but his mood changed as they finished up at 3am, colleague Jonathan Bailey said. Mr Bray told him that he “wanted to die” and that he was going back to the laboratory to take cyanide. Mr Bailey put his arms around him to stop him running off. They were then trying to persuade him to get a taxi but he ran back toward the college. Asked whether he had considered the cyanide comment “talk”, Mr Bailey said he hadn’t given “too much weight” to it. Mr Bray went to the TBSI, where post-grads have 24-hour access, at 3.08am. Security guard Samee Khan said Mr Bray’s hands were shaking when he showed his identification. CCTV footage shows him going into a fifth floor laboratory. After 3.30am while checking the building, Mr Khan found Mr Bray lying in a corridor asleep. He tried rousing him but he “just moaned”. He moved him to a carpeted corridor where it was warmer. “I could smell alcohol from him. I just thought he needed a rest to sleep off the alcohol,” he said. At around 5.45am, Mr Bray was in the same place and snoring. Mr Khan noted he was cold and his pulse was slow. He finished his patrol and then rang main campus security who put him through to ambulance control. When he went back to him, Mr Bray was unresponsive. He performed CPR until paramedics arrived, telling the coroner there was a “bitter taste” when he was doing mouth-to-mouth. Mr Bray was taken to St James’s Hospital where attempts to resuscitate him failed. The court heard that since January 2013, Mr Bray regularly attended the health centre in Trinity for mental health problems and had been prescribed an anti-depressant. He told GP Dr Niamh Murphy that he had taken chemicals from the lab with the intention of harming himself but assured her that he had gotten rid of them. He subsequently reiterated this to consultant psychiatrist Dr Niamh Farrelly. Coroner Dr Brian Farrell said the main findings at postmortem were a “lethal” dose of cyanide and a “high level” of alcohol in his system. “Cyanide is a highly toxic chemical asphyxiant which interferes with the body’s utilisation of oxygen. It can be rapidly fatal,” he said. The court heard that potassium cyanide and other chemicals are kept in the lab in unlocked lockers. The bottle retrieved by gardaí­ appeared to be sealed. The TBSI’s Professor Martin Caffrey said the chemicals are required for research. Speaking from the body of the court, the deceased’s father Clive Bray said he would not want any “knee-jerk change in laboratory practice which would make working in a laboratory more onerous” as a result of his son’s death. Dr Farrell said the death was self-inflicted, but because there was a high level of alcohol in Mr Bray’s system, he could not say whether he was clear in his mind when he died. The legal test for a verdict of suicide was not satisfied, he said, before returning an open verdict. 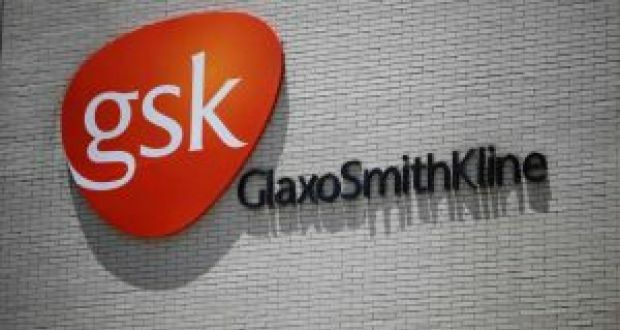 Glaxosmithkline, the pharmaceutical multinational that employs 1,500 people in Ireland, opened a non-trading branch in Cork into which it transferred $9.8 billion in assets as part of a Luxembourg tax structure. The Irish branch immediately loaned the assets back to its parent in Luxembourg in return for an interest-free loan in a process that meant the $9.8 billion no longer featured when the Luxembourg’s company’s wealth tax bill was being calculated by the Luxembourg tax authorities. The transaction was outlined in a letter from PwC Luxembourg to Marius Kohl of the tax authorities there. In the November 2008 letter the tax authority was told the Luxembourg company, Glaxosmithkline International Luxembourg Sarl, would still have $400 million in assets that would “remain” subject to the Luxembourg wealth tax. The proposal was approved by Mr Kohl on December 3rd, 2008, thereby becoming a so-called advanced tax agreement. Luxembourg’s wealth tax is charged at a rate of 0.5 per cent per annum, meaning Glaxosmithkline may have saved $49 million on the $9.8 billion transferred to Ireland. In the letter, PwC said the Irish branch would be tax resident in Ireland because it would have an office space, a desk, a fax, its name displayed on the premises, a telephone number that was available to the public, its own bank account and accounting records, and one manager. The tax treaty between Ireland and Luxembourg provides that in these circumstances the Irish branch of the Luxembourg company would be tax resident in Ireland, the PwC letter said. In discussing the matter, PwC reviewed the English language and French language versions of the treaty while coming to the view that the branch was tax resident here. Records in the Companies Registration Office in Dublin show the Irish branch of the Luxembourg company was registered here in December 2008, and closed in November 2013. The branch had an address in the Cork Airport Business Park, Cork. The 2010 accounts for the company show it had one part-time employee in that year. Staff costs were £94,000.